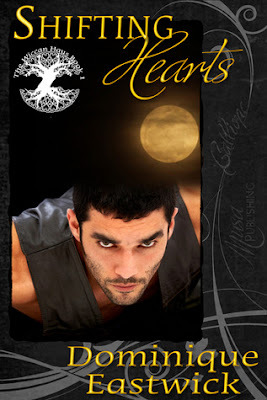 I have read quite a few books that combine resorts, paranormals and finding love. So far so good and I have enjoyed them all and love the idea. 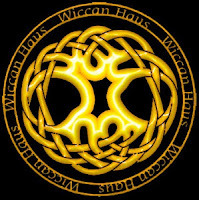 I really like the idea of the Wiccan Haus series. Welcome to a new form of healing and peace. Shifting Hearts is the first in the series and has set the bar high for rest of the series. Dana has probably just made the hardest decision of her life. While it was a mutual decision to not get married, she feels lost because she left her friend of many years and her family has disowned her because of the broken marriage. She also gave up her job and apartment to start a new life with him. Now she has nowhere to go and no one to be with. Jessie, her best friend, takes her away to the healing resort of Wiccan Haus. Dana needs time to lick her wounds and Jessie believes she just needs a good tumble in bed. She may just find both on the island. Rekkus is the last of his kind. Though he has lost his family he has gained a new one with the Rowan siblings. His main focus is as bodyguard to Cyrus, but he is also head of security for the island. From the moment he meets Dana he knows what she is to him. Problem is that his past has left many scars he may not be able to get past. Fate has given him a gift, now all he needs is to be able to accept it. Be warned. This is a no nonsense read. Ms. Eastwick gets right to the matter and gets things done. This is a short story, so the love and passion is instant and sizzling right from the beginning. The details are vivid, but not drawn out and the characters have depth, but she doesn’t mince words. Rekkus and Dana are meant to be together…period. I personally find nothing wrong with fast paced instant romance. They are a wonderful change of pace and a treasure to me. Sometimes I need a quick fix and this one delivers exactly what I needed. This series is going to be fun and engaging with an eclectic mix of characters and countless romantic possibilities. I plan on enjoying this series from the beginning all the way to the end. I hope you join me. Come take a relaxing short vacation with me to the Wiccan Haus; where you will find inner peace, breathtaking magic and explosive romance. Be sure to check out other books from Dominique Eastwick at Musa Publishing.